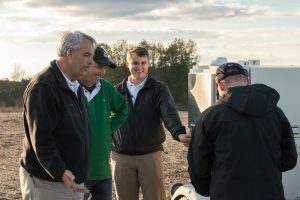 CropLife magazine featured the Falcon Automated Soil Sampler recently and in article discussing some of the latest technology available to agronomy consultants and service providers. Spring is often an exciting and challenging time as growers and service providers begin to execute the plans laid out for the this growing season. In these challenging economic times, having a plan laid out that can flex and be manage for hurdles faced through the season can make the difference between a success and failure.